I am sooooo glad tomorrow is Friday and it’s a 3-day romantic Valentine’s weekend because it’s been a long and exhausting week with loads going on at work and me dragging a little from stress. It hasn’t been a stressful week for Skipper, he’s been having a blast. It’s become a ritual for him to sneak into the front office while hubby and I are making dinner to hump all the dog beds in there. 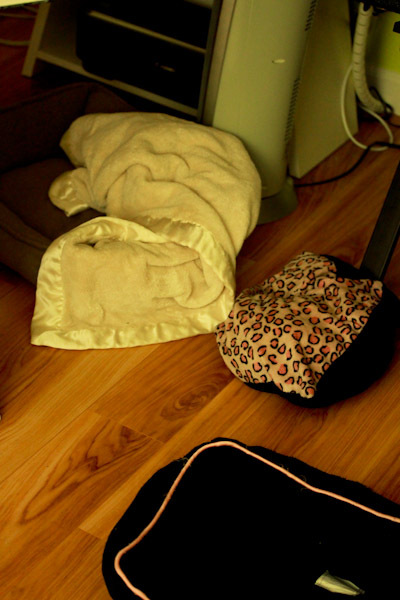 I usually find them in complete chaos all over the floor with pillows and blankets separated. Skipper has been, uh, fixed and this is a fairly new thing for him. I guess he’s just feeling so good with his current insulin dosage he just wants to party. 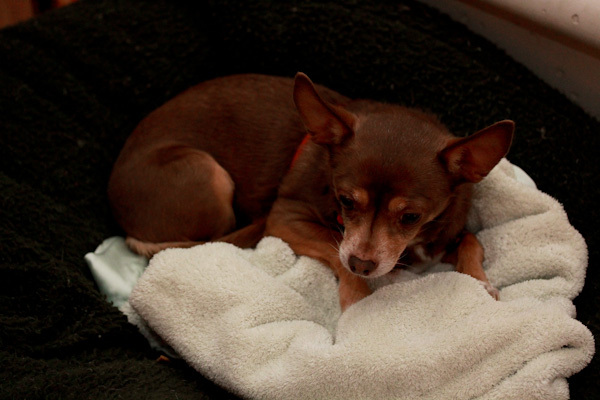 Poor Miko gets a little disoriented when his favorite bed gets relocated to the other side of the room upside down. 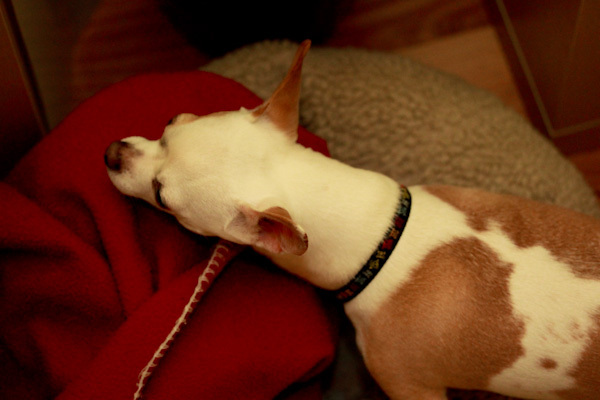 And Leela won’t let Skipper get anywhere near her favorite bed in front of the fireplace. Tonight I kept things simple after a long day of work and hitting the gym after. 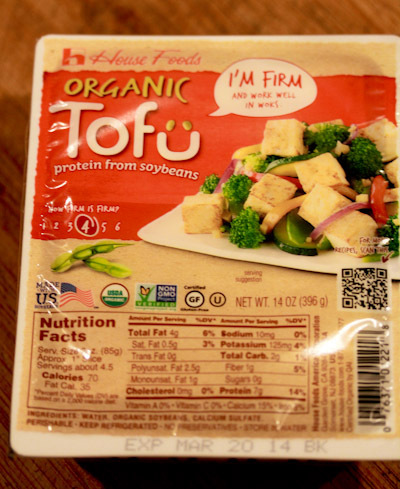 I scored a 4-pack of House Foods Organic non-GMO firm tofu from Costco for cheap and broke out a package for a simple, but feisty soup. 1 cup frozen corn, or veggie of choice. Place all ingredients into a medium pot and bring to a boil over medium high heat. Reduce heat to a simmer, cover, and simmer for 15 minutes. Serve and enjoy. Makes 2-4 servings. Again, I didn’t add oil or saute the onions and I think it worked well for this soup. 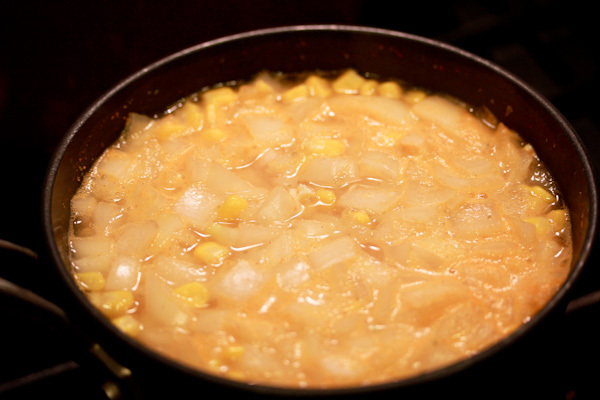 For some reason I like adding corn to miso and noodle soups, specially Trader Joe’s frozen organic corn. I think it’s from The Ramen Girl, a cute movie with Britney Murphy about a girl abandoned in Tokyo and decides to pursue becoming a ramen soup chef. 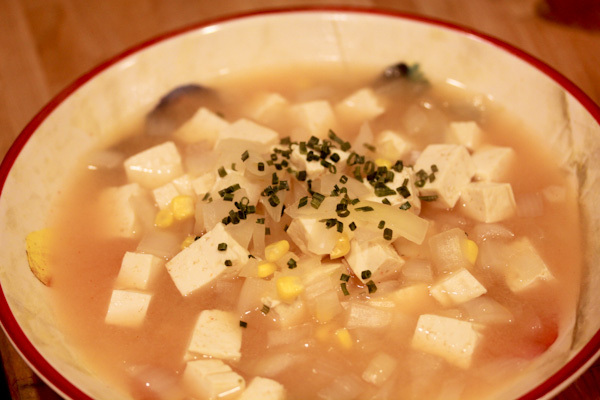 Corn adds a fun texture and sweetness that works well with miso and tofu for me. But you can add whatever veggies you want. The soup has a nice savory and spicy kick with a fun sweetness while being very filling and comforting, but still light. Yeah…our furkids have been ‘picking’ on each other lately, too! They are FUNNY! Worried about Gabby, tho, posted about it today.